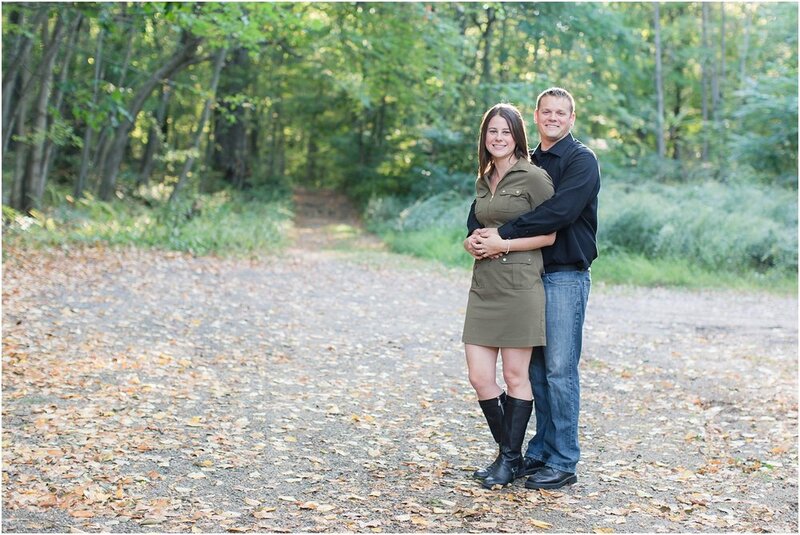 Jessica and David's engagement session at the Morris Canal Park in Ledgewood was SO. MUCH. FUN! The setting was a special place for these two, they brought their energetic and adorable pups Champ and Slate (with coordinating bandanas!) and their props were unique and special to the two of them as a couple. 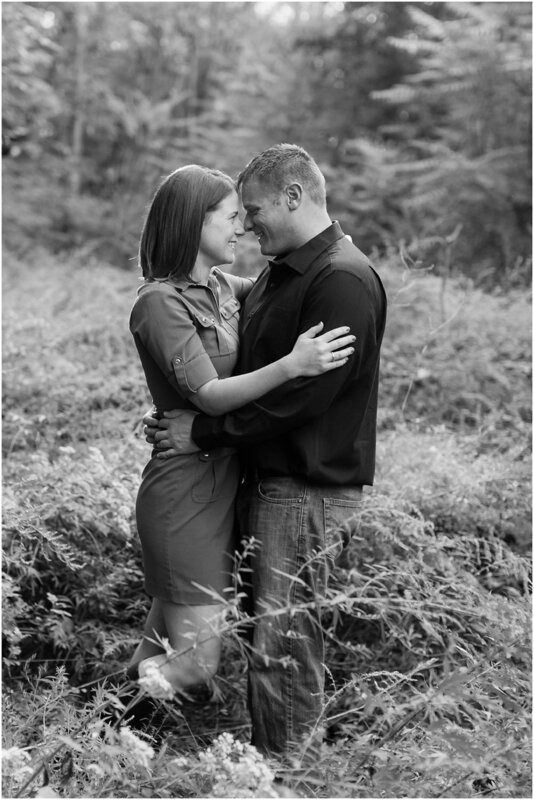 That my friends, is a recipe for a stellar engagement session! Jessica found me online and is also a photographer so we instantly had a connection. These two are laid back, fun people who love their dogs...so basically my perfect clients! We met up at the Morris Canal Park where they go often with their pups to hike and hang out. It was seriously the perfect location! My favorite part (aside from Champ and Slate of course) was the story behind the piece of wood they brought with them. They were camping with David's family in Wyoming back in August...and Jessica is NOT a fan of camping! She would only go if there were full facilities. Then the shower broke and it was freezing at night and the first few days were a little rough. But despite all of that, David took her out on a sunset ATV ride up to an abandoned sheepherders cabin where he asked her to marry him...with cows mooing in the background! I love that! They brought a piece of wood from that Wyoming campground home with them and David made some coasters out of it. They brought the wood and the coasters with them to the session so I did most of their ring shots on the wood and I love how they turned out! They also brought a sign for Champ and Slate that said "my humans are getting married" and they were such good boys and sat still with it around their necks patiently awaiting the promise of animal crackers at the end! They went through a whole bag! I loved everything about these two and Paul and I had such a great time hanging out with them and documenting their engagement and getting to know more about them! Enjoy some of my absolute favorites below!